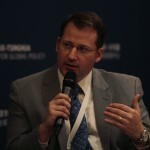 Paul HAENLE is Director of the Carnegie-Tsinghua Center for Global Policy, a foreign policy research institution based at Tsinghua University in Beijing, China. Haenle serves as Inaugural Director of the Center and is an Adjunct Professor at Tsinghua University teaching undergraduate and graduate-level courses on foreign policy to Chinese and international students. Haenle also serves as a Senior Advisor at Teneo Strategy, a global business-consulting firm that provides strategy and counsel to CEOs of Fortune 500 companies as well as Chinese firms involved in international investment. Haenle has over 20 years of U.S. government experience, most recently serving five years at the White House under Presidents George W. Bush and Barack Obama. During that time, Haenle worked in the West Wing as the principal assistant to the President’s National Security Advisor and again in the White House as the China Director. From 2007 to 2008, Haenle also played a key role as the White House Representative to the Six-Party Talks, the multilateral framework for nuclear negotiations with North Korea. He was selected by the National Committee on U.S.-China Relations to be an inaugural member of the U.S.-China Young Leaders forum, a program designed to enhance relations between Americans and Chinese leaders in a diverse variety of professional fields. 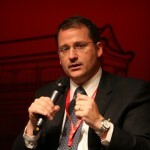 Haenle currently serves as an advisor to Harvard Square Educational Associates; SAGE Worldwide, a global events and speaker company; the Royal Asiatic Society, Beijing Chapter; the Young China Watchers, a global platform for facilitating dialogue between international and Chinese young professionals; and Atlas-China, a human resources firm specializing in finding opportunities for young professionals in the China job market. Trained as a China Foreign Area Officer in the U.S. Army, Haenle was assigned twice to the U.S. Embassy in Beijing, China, and also worked in the Pentagon as a China political-military advisor to the Chairman of the Joint Chiefs of Staff. Early assignments in the U.S. Army included postings in Germany, Desert Storm 1991, Korea and Kuwait. Haenle retired from the U.S. Army as a lieutenant colonel. 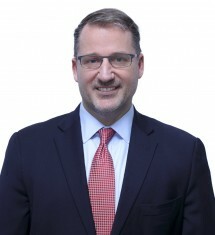 Haenle received a bachelor’s degree of science in mechanical engineering from Clarkson University in 1988 and a master’s degree in Asian Studies from Harvard University in 2001. Click here to access the article Haenle’s article: “Opinion: Tempering Expectations Ahead of the G20″. Click here to access the FT article featuring Haenle: “’US-North Korea tensions fuel fears on Chinese border”. Paul Haenle: Stability and strategy: Why is China so easy on North Korea? Click here to access the article featuring Haenle: “Stability and strategy: Why is China so easy on North Korea?”. 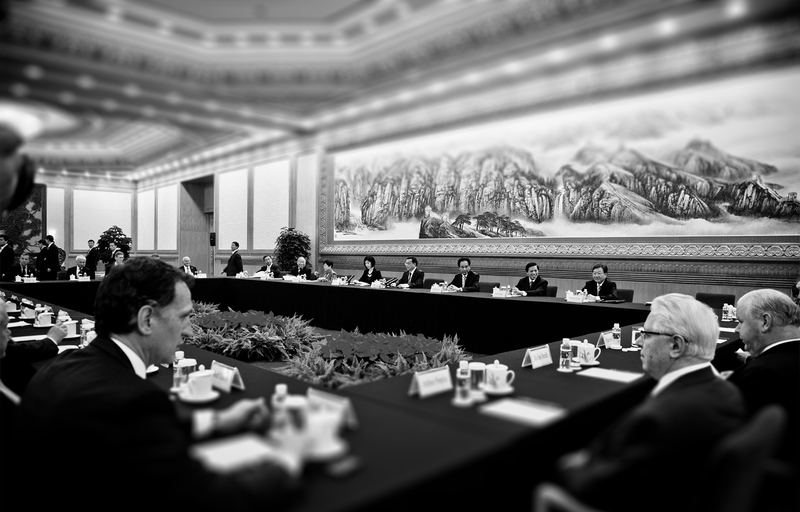 Click here to access the article featuring Haenle: “Trump praises ‘productive’ China talks, but tough action seen ahead”. Click here to access the Fox interview with Haenle: “Trump’s delicate diplomatic balance with China”. Click here to access the article featuring Haenle: “Donald Trump set for ‘special welcome’ in China from Xi Jinping”. 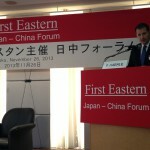 Paul Haenle featured in: Has Donald Trump softened his stance on China? Click here to access the news clip featuring Haenle: “Has Donald Trump softened his stance on China?”. As one of the most consequential bilateral relationships in the world, the United States and China must find ways to work together on critical global challenges and identify potential areas for strategic cooperation. China’s rise onto the world stage and its growing global economic interdependence are necessitating, and leading others to demand, China play a more proactive role in addressing global issues. 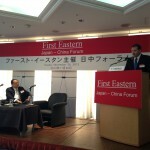 Maritime territorial disputes in the East China Sea and South China Sea threaten the security and economic vitality of a region that includes the first, second, and third largest economies in the world. The East Asian regional order is currently being shaped by the reemergence of China and the reactions of Japan and South Korea, the US rebalancing policy, and comprehensive trade agreements under negotiation. President Xi Jinping is tightening political control and embracing economic reforms as he attempts to avoid the mistakes of the Soviet Union and steer the second largest economy in the world past the middle income trap. Under its young and brutal leader, Kim Jung-un, North Korea continues to threaten regional security and develop its nuclear program. But Kim may be overplaying his hand, threatening the very stability China hopes to preserve and undermining China’s evolving security interests in ways that are leading Beijing to reconsider its North Korea calculus and be more open to international cooperation on the North Korea issue. What Does a New Type of Great-Power Relations Mean for the United States and China? Time to Reopen Talks With North Korea?